No longer do chocoholics everywhere have to enjoy their guilty pleasure in secrecy. Of course, like everything else, chocolate should be enjoyed in moderation. 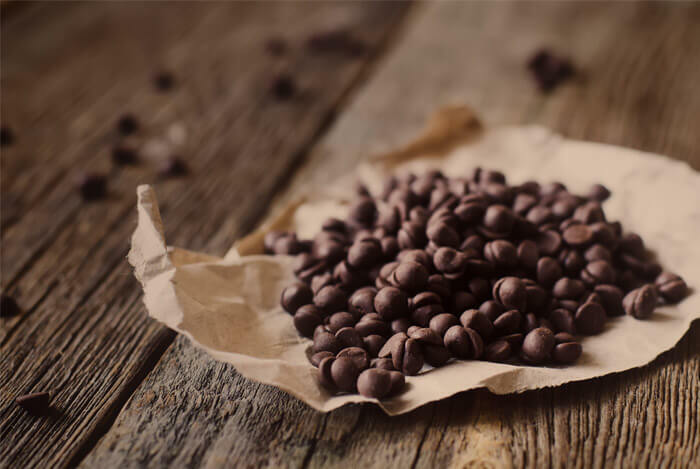 And you’ll need to choose a dark chocolate with 70% to 85% cacao solids for the most antioxidant power. 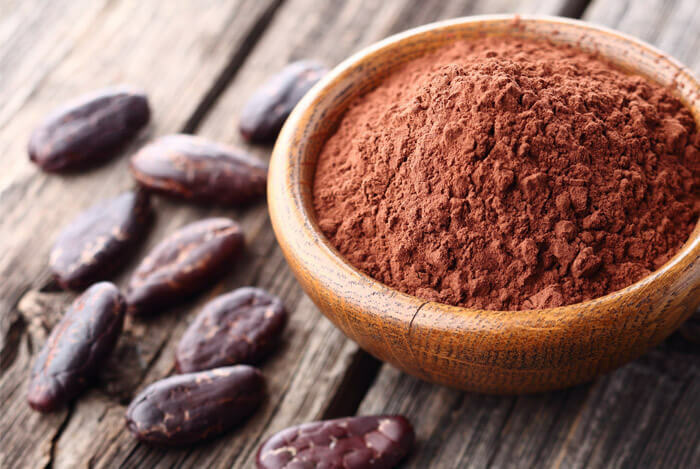 Most of these 11 healthy recipes call for cocoa powder, the raw ingredient in dark chocolate. So go on…enjoy the following recipes. This delicious moist banana bread recipe is free from flour and refined sugar. But don’t worry, the sweetness from the ripe bananas and the chocolate chips will satisfy any sweet tooth. I used almond milk in this recipe, but feel free to use any milk you’d like. Preheat oven to 350 F, and grease or line a 9×5 loaf pan. Put the oats in a blender and blend until a fine powder forms. Add all other ingredients (except chocolate chips) and blend until smooth. Then stir in the chips. Pour batter into loaf pan and bake for 35 minutes. Turn the oven off, but don’t open the door. Allow bread to sit for another 10 minutes. Remove and allow cool completely before removing from the pan. This recipe has a surprise ingredient that you’d never think was there just by tasting it.. I like to eat this pudding topped with fresh raspberries or strawberries. Blend all ingredients in a high-speed blender until smooth. You may need to add a tiny bit of extra water to get it really smooth but too much will ruin the consistency. If you haven’t tried this kind of delicious and healthy alternative to sweet ice-cream then you’re missing out. This particular recipe is extra tasty thanks to the addition of peanut butter. 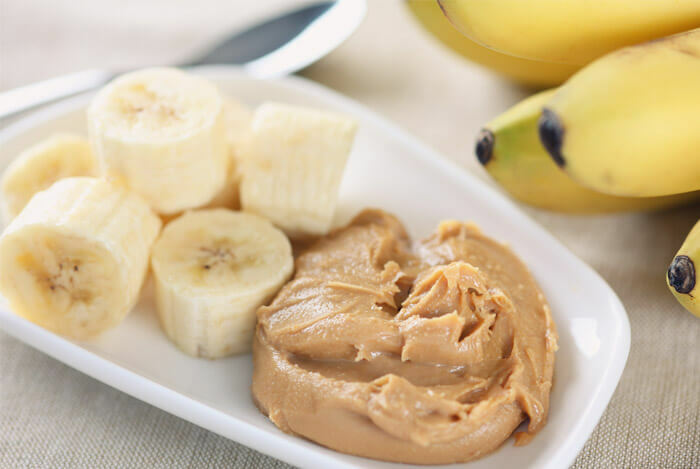 Add the bananas, cocoa and two tablespoons of peanut butter to a food processor. Process until it takes on the consistency of ice-cream. Stir in the remaining tablespoon of peanut butter to create ‘chunks’. Chia puddings like this one are equally good for breakfast, desserts or snacks. 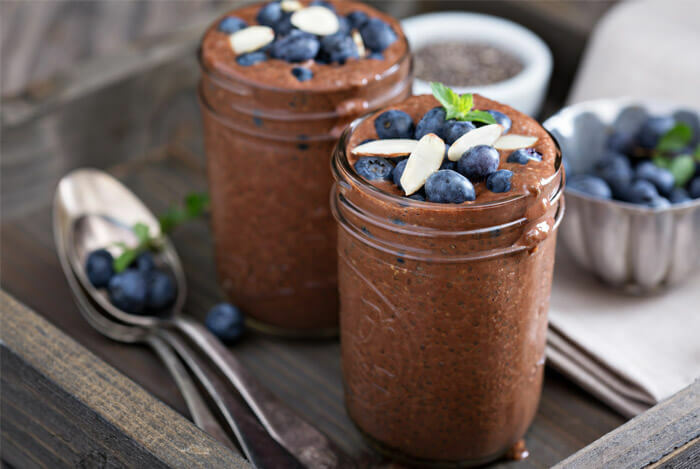 I’ve featured a chia pudding before, but this recipe here is flavored with both cacao and a sweetener like stevia or honey, making it that little bit more indulgent. Place in 3 small jars, and refrigerate for at least 3 hours, or overnight. Top with fruit, coconut or seeds. These energy bars are perfect for busy, health conscious people. They’re quick to make, portable, sugar free, gluten free, dairy free and grain free. They’re still tasty and filling, with the texture of a soft cookie. Divide the dough into 1/4 cups and shape into a bar. Bake for 10 to 15 minutes until cooked throughout. Don’t let the fact that these muffins contain black beans put you off. I’m all about hiding healthy foods in desserts, and that’s the basis of this recipe. Gram for gram, black beans give you a hefty dose of protein and fiber, yet you can’t even taste them in this recipe. Each muffin has just 159 calories, 2.4 g of fiber and 4.2 g of protein. Preheat oven to 350F. Line a 12 cup muffin tin with baking liners. Place black beans and 1 egg in food processor and process until beans are well blended. Add the other eggs, maple syrup, coconut oil, vanilla and coffee; process again until smooth. Next add cocoa powder and baking powder; process until smooth. Fold in 1/3 cup of chocolate chips. Divide batter evenly among muffin cups. Sprinkle remaining chocolate chips on top. Bake for 25 minutes or until cooked throughout. Place on wire rack to cool for 10 minutes, then remove muffins from tin and transfer to wire rack to cool completely. This chocolate hummus is really similar to Nutella and is just as versatile. But it only has a third of the calories and sugar. 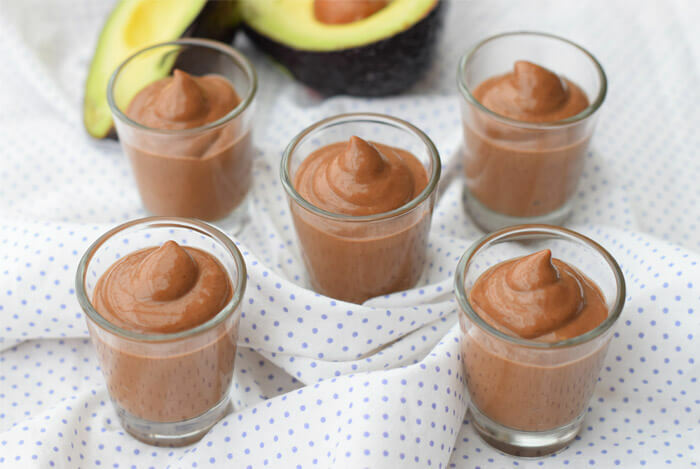 Use it as a fruit dip, on top of oatmeal or even with high protein 2-ingredient pancakes for a healthy twist on Nutella crepes! Add all ingredients except water to a food processor, and process until smooth. Add water in small amounts, as needed, until desired consistency is reached. 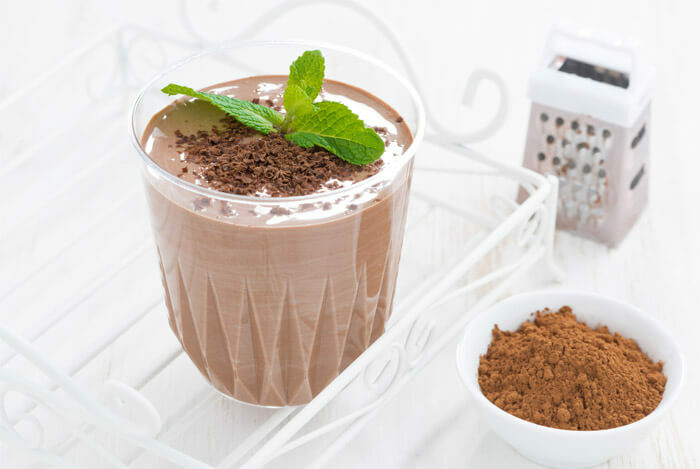 The cocoa powder totally masks the flavor of the baby spinach and both the bananas and dates add sweetness. Blend all ingredients until smooth, rich and creamy. A healthier take on Reese’s Peanut Butter Cups, this recipe is a winner in my book. I mean, the base of these tastes just like cookie dough. You can also easily make these treats gluten-free by using certified gluten-free oats. Add all base ingredients into a bowl and mix to form a sticky dough. 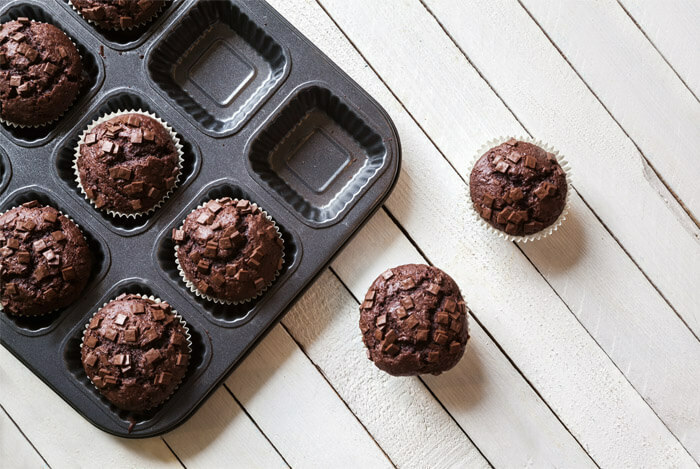 Line a muffin tin with paper liners and portion the dough into each muffin cup. Press down until even and smooth. To make the topping, whisk together the four ingredients until no clumps remain. Spoon the sauce over top each of the cups, distributing evenly. Freeze for 30-45 minutes, until firm. Best enjoyed straight from the freezer. 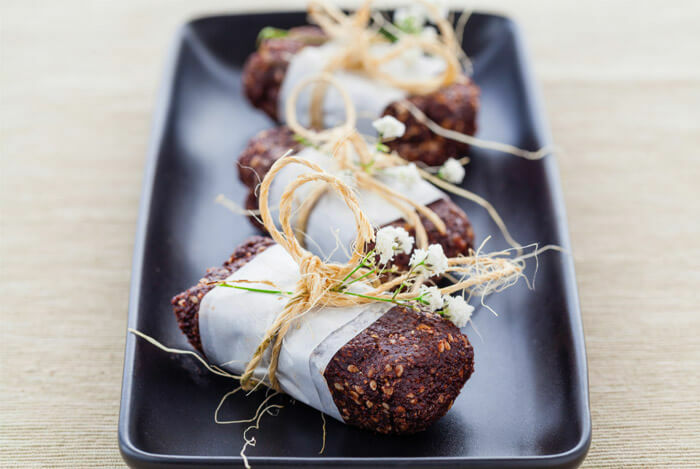 This recipe makes seven super healthy raw protein balls – one for every day of the week. Made with cacao, chia seeds, hemp protein, flax seeds and almond, they’re high in protein, essential fatty acids and antioxidants. 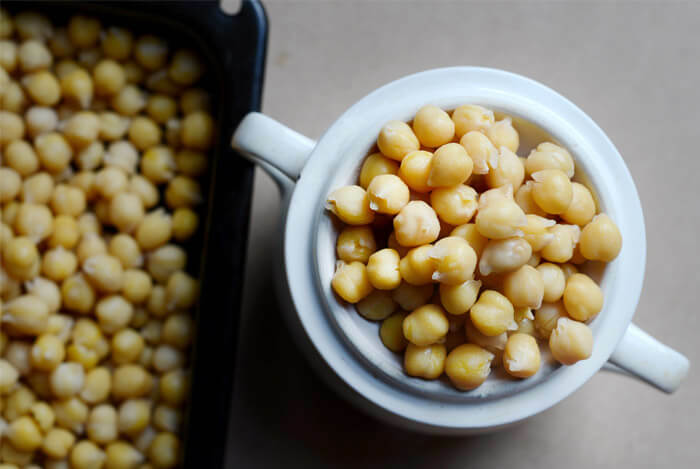 Each little teaspoon-sized ball has 3 g of protein, 3.1 g of fiber and 10% of your RDV of iron. Add all ingredients into a bowl and mix until moist and evenly combined. Divide into seven teaspoon sized parts and roll into balls. Store in the fridge or enjoy immediately. Proving you can have chocolate at any time of the day, this oatmeal recipe is both healthy and delicious. If you don’t eat oatmeal for breakfast, I would definitely recommend you give it a go. 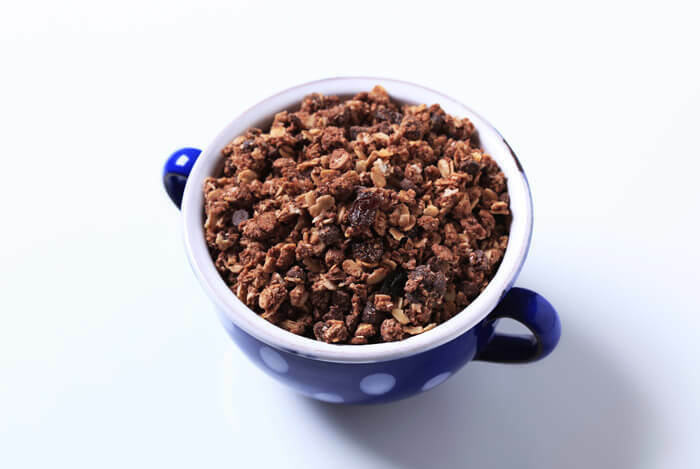 It’s a simple and tasty way to get some fiber and nutrients into you first thing in the morning. 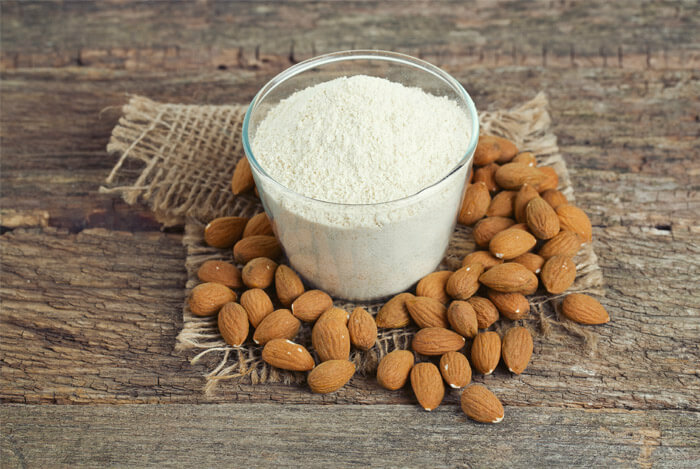 Add the almond milk, 1 & 3/4 cups water, diced banana, almond and vanilla extracts and pinch of salt to a pot. Bring to a boil over high heat. Stir in the oats, cocoa powder and 1 tablespoon of the honey and reduce the heat to medium. Cook, stirring frequently, until the oats are fully cooked. Transfer to bowls, top with the sliced bananas, walnuts, the remaining honey, cinnamon and chocolate chips and serve. What’s your take on healthy desserts? Have anything else you’d like to share? Let me know in the comments below!